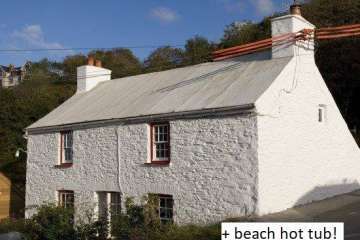 Pembrokeshire beach holiday cottage right on the actual beach at Goodwick, with no barrier between you and the water. 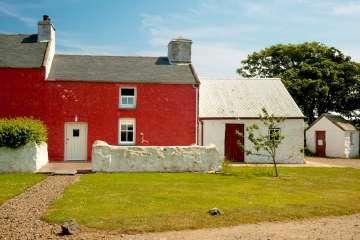 Perfect family holiday holiday cottage on the Pembrokeshire Coast National park footpath. 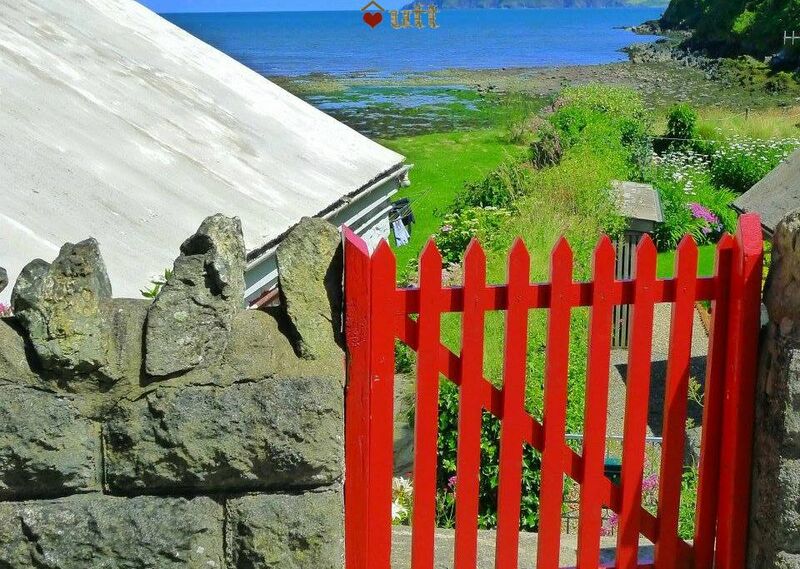 Pen-y-Parrog is a cosy, traditional West Wales family cottage right ON the beach at Goodwick, just off the coast road. 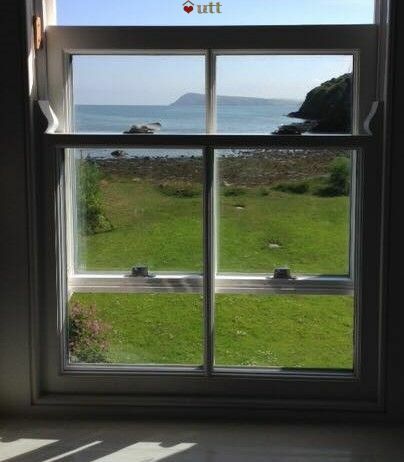 Built directly on a quiet pebble beach without even a fence between you and the sandy shale, you can wander down to the water with breakfast in hand or admire the coastal views without even leaving your bed. There is even a hot tub built into a cute cabin to enjoy in any weather. 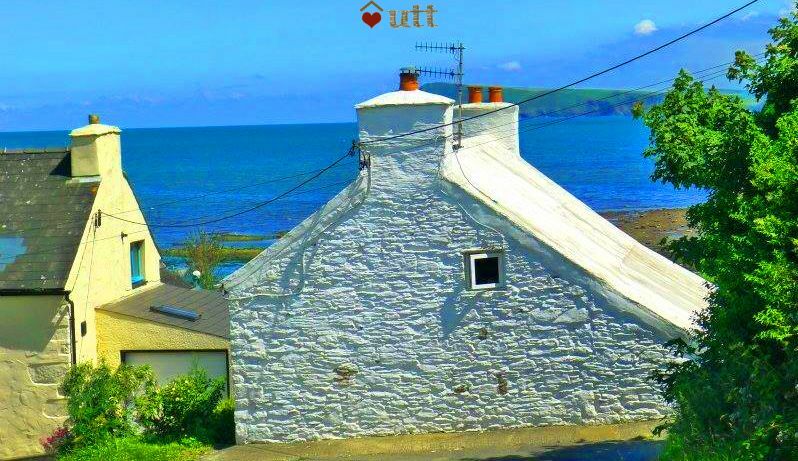 This cottage, with its traditional grouted roof was chosen as the quintessential Pembrokeshire cottage home to 'Rosie Probert' (Elizabeth Taylor) in the famous film of Under Milk Wood. 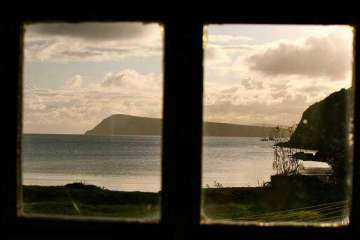 There are regular trains to Fishguard to the ferry terminal (Fishguard Harbour) and are plenty of trains to Haverfordwest and buses from there to Fishguard.You can walk in under 5 minutes from Fishguard Harbour train station to the cottage - really no problem. 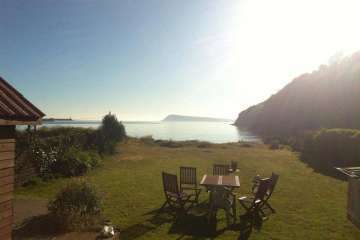 Kitchen - well equipped and newly fitted with views out to sea as you prepare dinner! Electric oven, Hob, Microwave, Dishwasher, fridge (with freezer compartment) and a breakfast table. Lounge/ Dining Room - A large open-plan room which covers the whole of the ground floor of the original cottage. Quality cast-iron woodburner (first basket of logs supplied) three sofas (one a sofa bed) and a large dining table that comfortably seats 8. 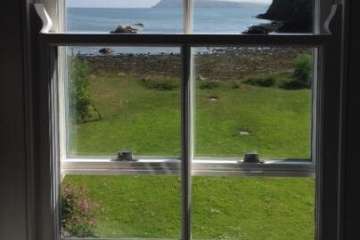 Double French doors to the garden with wonderful sea views. Stairs to second floor. Large-screen TV & DVD player. Shower-room and toilet to ground floor with mains-powered double shower. Small 'Utility' area with washing machine, washing line in garden. Master bedroom (double) with the best sea view in the house and an armchair to enjoy it. Like the rest of the house this room has newly-fitted oak floors. 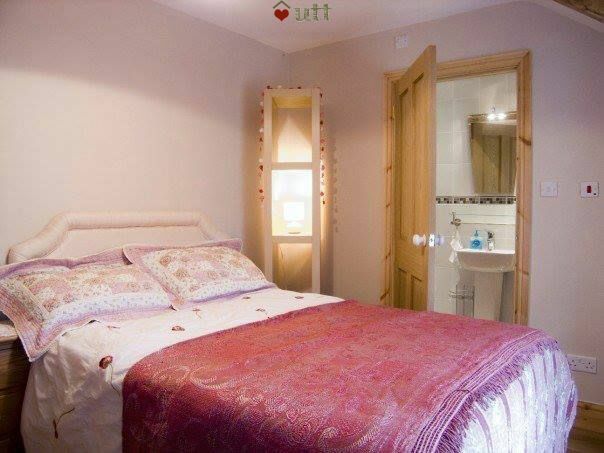 En-suite bedroom - A second double-bedroom with newly-fitted en-suite shower room off. Bunk room - The smallest bedroom with bunk beds, sleeps 2, most suitable for children. Plenty of outside space in the large garden that runs directly down and onto the beach. 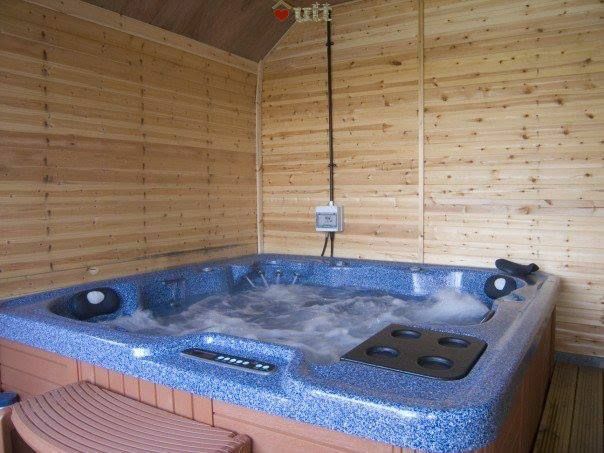 Garden furniture, barbeque, and timber cabin with an excellent quality hot-tub! 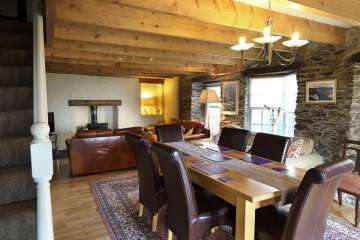 Centrally-heated throughout with wood-burning stove. 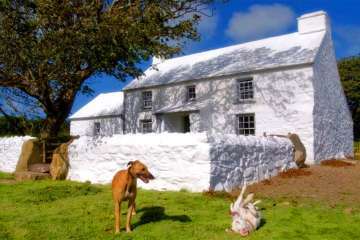 Buy stylish blankets at Melin Tregwynt . 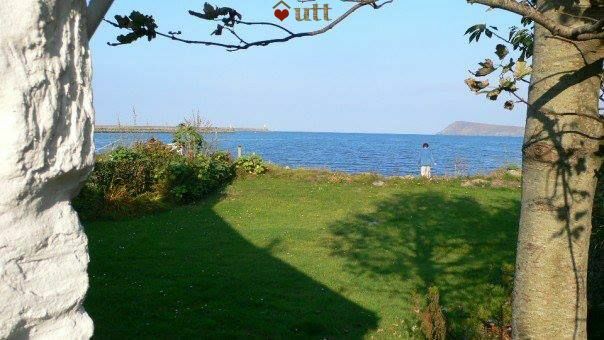 Fantastic cottage and a beautiful location. 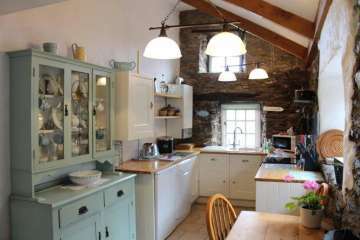 Plenty of parking, small but perfectly functioning kitchen with everything you'd need. Lovely cosy living room with large dining table and sofa bed facing out the a beautiful sea view, TV, CD player, DVD player with books, cd's, dvd's and games for your entertainment. The master suite is beautiful, though the other rooms are small, the room with ensuite is not bad but if you are above average size/height it is a lil bit of a squeeze, but not bad and the double bunk room is tiny and really only any good for kids so one of the couples in our group just used the sofa bed downstairs. lots of throws about for keeping you warm or sitting out in the garden. Built in BBQ and garden furniture for sitting out in the sun or as we did, right at the end of the garden looking over the sea. Hot tub was great, fits 4 comfortably or 6 if you are good friends! ha! 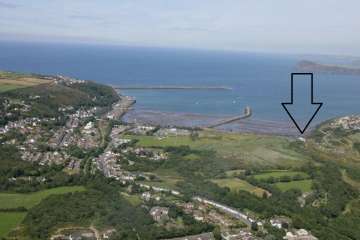 the location is great, easy to find with pubs and shops nearby as well as a bigger sandier beach! great time was had by all and everyone loved the house! proper little slice of heaven! Pen y parrog is so beautifully renovated to a high standard but retains its charm. The location is perfectly placed to take advantage of the many beaches which are spectacular and places of interest. 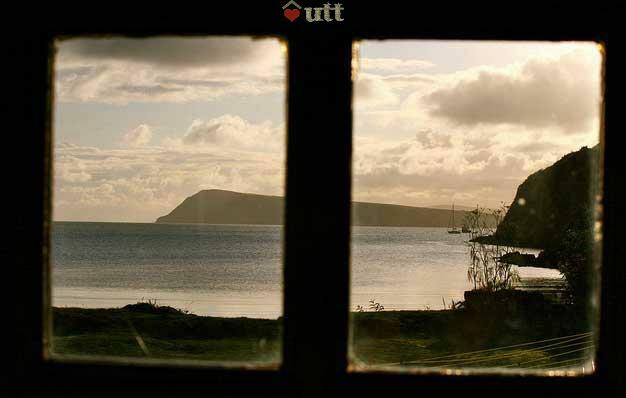 Bar Five in Fishguard town is definitely worth a visit with views to die for. 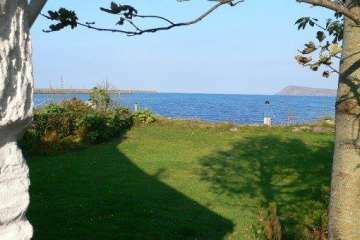 The sea comes in to the lawn at the bottom of the garden. As soon as you walk through the door you are at peace. A table situated downstairs ensure you eat and play games together. Having a hot tub adds to the feeling of understated luxury. We also took a speedboat around Ramsay Island - the sea was turquoise and we saw 2 day old seal pups, porpoises and many sea birds. We only had a few days but left so much richer for it. Wonderful memories to treasure forever. Our children (5 and 2) didn't want to leave Pen-Y-Parrog. 'Can we live here instead?' Having breakfast on the beach, searching for crabs after tea, and having such easy access to the beautiful coastline made this a really easy, fun week. The cottage was gorgeous and full of character. 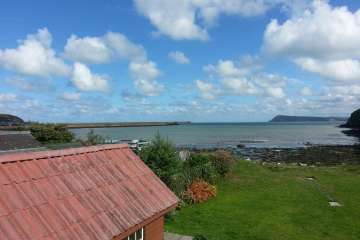 Fantastic cottage, with private garden leading to a pebble beach, superb view over the bay added bonus of a hot tub. Clean and tidy with all mod cons. 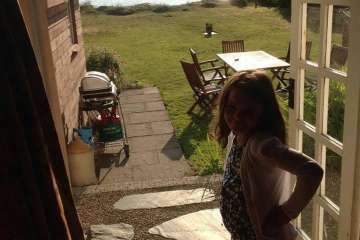 Cottage was fabulous. Cosy comfortable relaxing an absolute joy to spend time at. The view at the rear of the property was just beautiful and the added bonus of a hot tub what more could you ask for. A holiday we will always remember and hopefully a place we will return to again. We thoroughly enjoyed our stay at the cottage. With its stunning views, great location and hot tub, our stay could not have been better. Thanks for a lovely beach break. 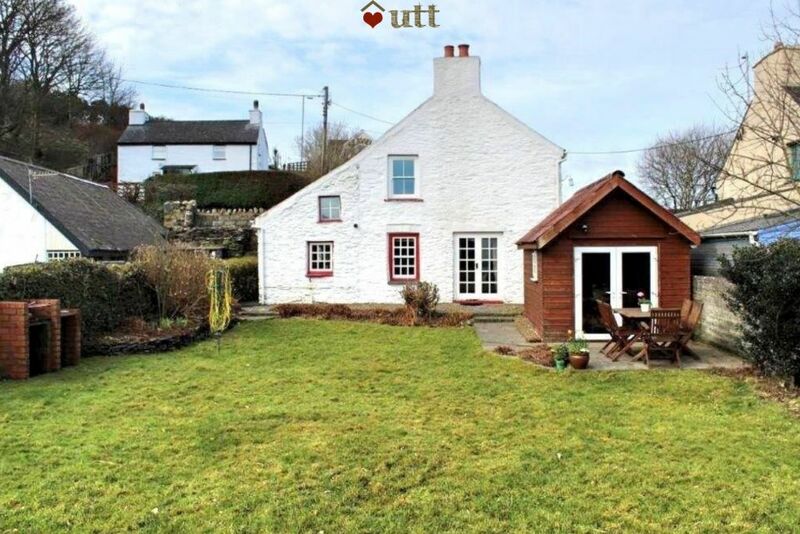 A delightful cottage with the garden leading down to the sea. We loved the hot tub looking out to sea. Have already recommended to friends. Just gorgeous. An extremely relaxing holiday in a beautiful location. We were spoilt on out first morning by seeing Dolphin'so in the bay. My little girl and I spent a lovely afternoon searching for muscles on the beach when the tide had gone out. 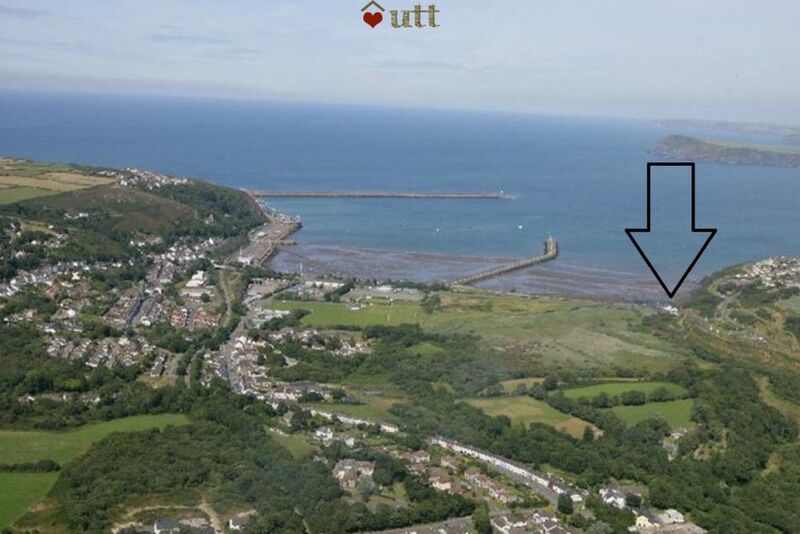 We would highly recommend Pen-y-parrog and will hopefully be back again in the not to distant future. A place where many happy memories have been made. 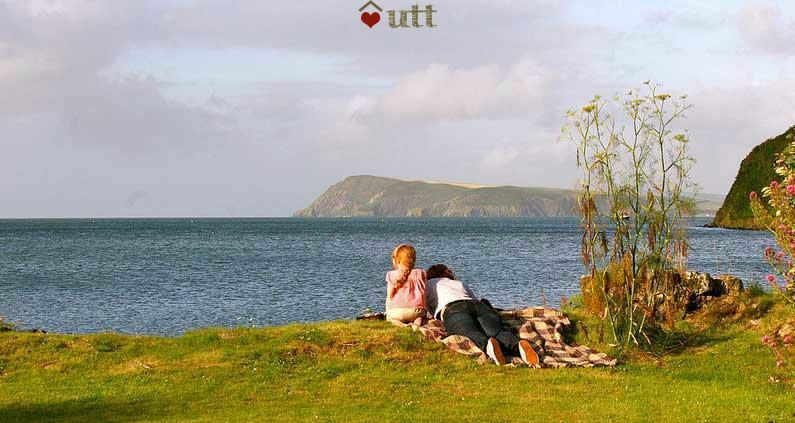 Thank you UTT. 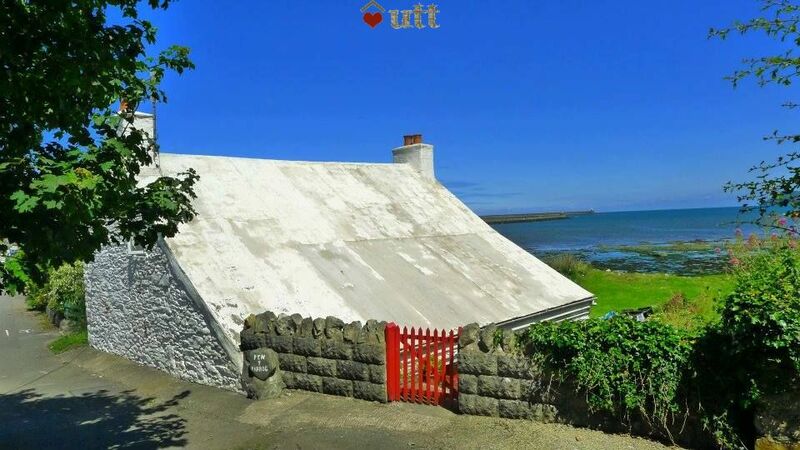 Lovely cottage in a wonderful location! Beach combing for shells and stones - and we found mussels and razor clams - we pottered in the bay in our little boat and was treated to a seal popping its head up at us ! Not the best weather but it didn't matter! What a perfect spot! 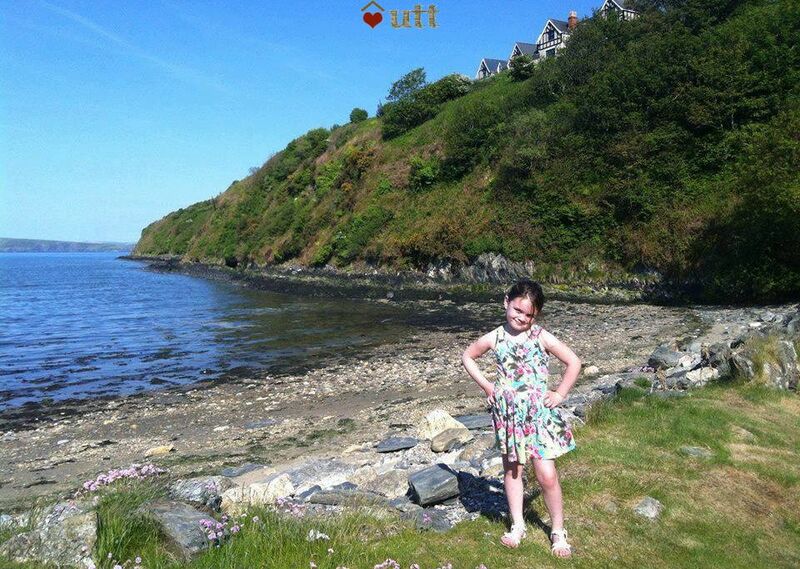 We really enjoyed our stay at Pen-Y-Parrog. The cottage is absolutely beautiful inside and out with plenty of space and very comfortable beds. We had excellent weather during our stay which meant we spent the afternoons enjoying the garden and looking out to the beach, just idyllic! 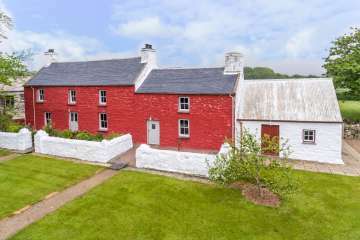 Would definitely recommend this cottage - in fact we have already passed the details on to several friends and family members. This was a cosy cottage in the perfect location, so close to the sea and overlooking the Pembrokeshire coast. The cottage itself was clean, comfortable and had plenty of character and we really appreciated that the Welsh-language was prominent in all the signs, notices and on the bookshelf. The hot-tub, although slightly dated, was an added extra, overlooking the garden and the sea. 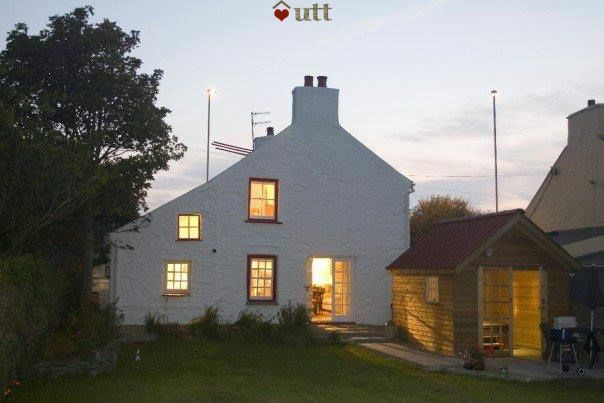 I would highly recommend this cottage. Went to Pen y Parrog with 5 of my best friends to celebrate my birthday for the weekend. We had an absolute blast - what a gorgeous cottage! Weather was terrible but it didn't dampen our holiday. It was lovely relaxing in front of the logburner, soaking in the hot tub chatting until the early hours and cooking a nice meal to share in the well kitted out kitchen! A bit like the tardis....looks small from outside but deceptively spacious inside! We would definitely return (if we can get someone to babysit the dogs again)! Perfect cottage for a group of friends! 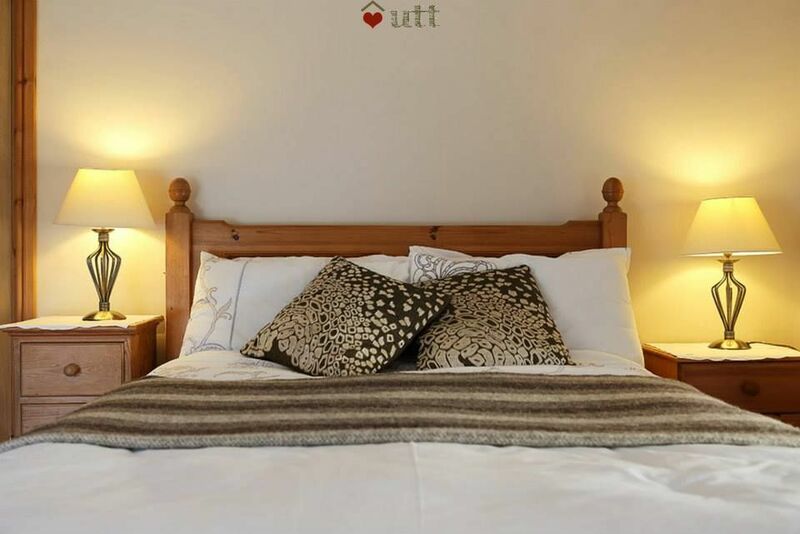 The cottage is beautiful, spacious and has absolutely everything you need! Location is stunning and the hot tub is great! Will definitely book again! Love this place - having a beach at the end of the garden is hard to beat! 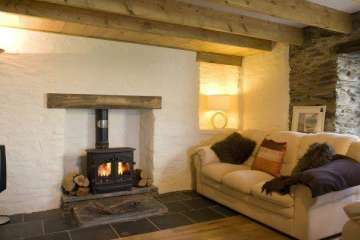 Fabulous scenery, cosy cottage and great local food from the farmers' market. We will be back again! Great cottage with beach at end of the garden. Pembrokeshire is simply stunning. Great walks from the cottage. Fantastic cottage. Made our first family holiday with our 11 week old baby memorable. 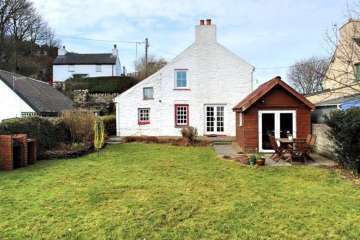 Lovely cottage.lovely scenery.owner very helpful with any minor problems we had. 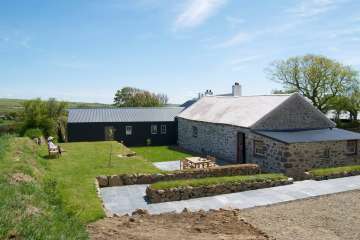 Just returned from idyllic break in perfect holiday cottage. 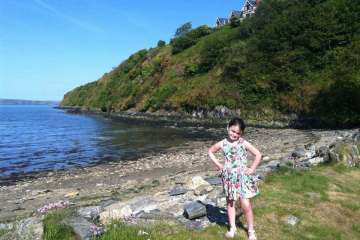 Re-visiting Goodwick with son, daughter & young grandson, Pen-y-Parrog was perfect for everyone, ideally situated for beach life, bird watching, and fishing! It was comfortable with great kitchen, log stove for chilly evenings & loved the hot tub. Hope to return very soon & recommending to all our friends. A lovely spot for a few days, slept really well. Came home feeling very chilled out. 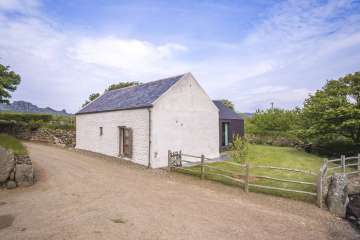 Wonderful cottage, just what we needed to blow winter cobwebs away. 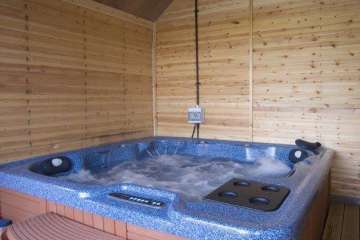 Great facilities with consideration to comfort such as dressing gowns for coming back in from the revitalising hot tub. Don't think you can underestimate the joy of a hot tub in winter feels like your cheating the weather. Play park near by for kids, friendly cafe with sift play and right in front of the cottage the Best play park ever - a beach with craggy rocks seaweeds and shells. What more could you ask for ? 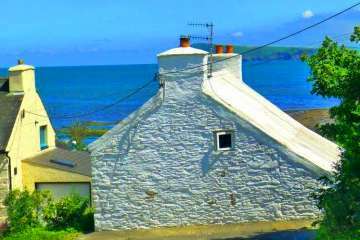 Pen y Parrog is an extremely comfortable cottage with a garden that flows onto a shingle beach, great for bird watching and those who love boats! It would be a good place to bring a kayak and pootle around the bay at high tide. 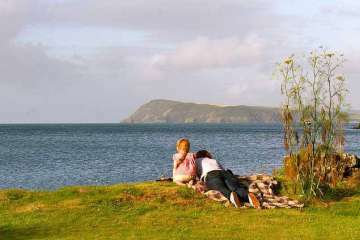 Fishguard is walking distance and the opportunity to buy local fresh Produce, a great farm shop, local crab and cafes galore. The noise from the pub at night and the road takes a little getting used to. We still enjoyed a good relaxing break. The first time we visited Pen-y-Parrog was just for my husband Phil and myself celebrating being together 50 years. 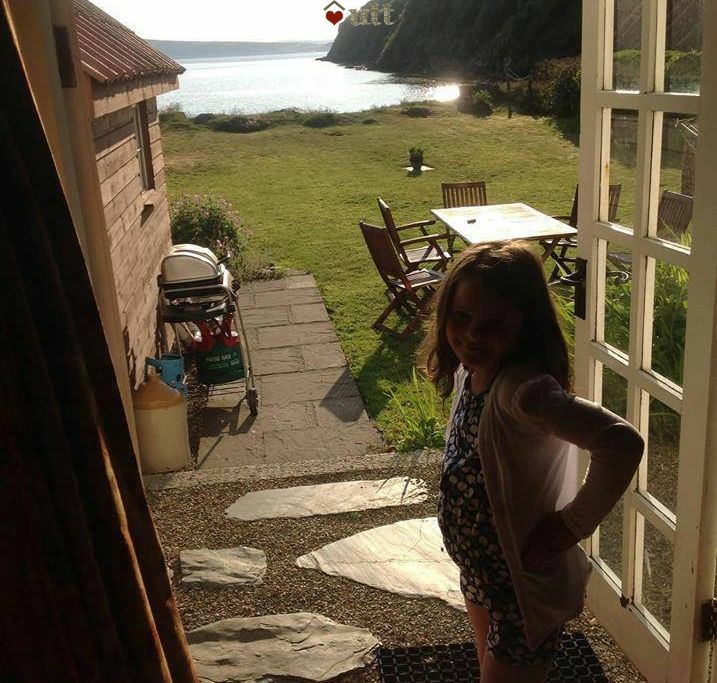 We thought it was so idylic that we booked it again to share with some of our children and a grand-daughter. We all had a super time. They loved going down to the beach everyday. It was perfect. We hope to come again soon. Thank you.